Summer is here! 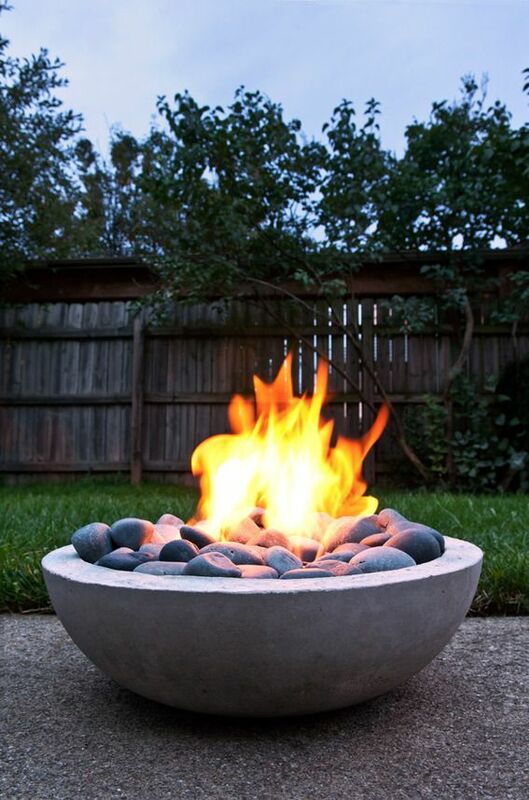 And what’s better than sitting outside on a nice summer’s night around a firepit? 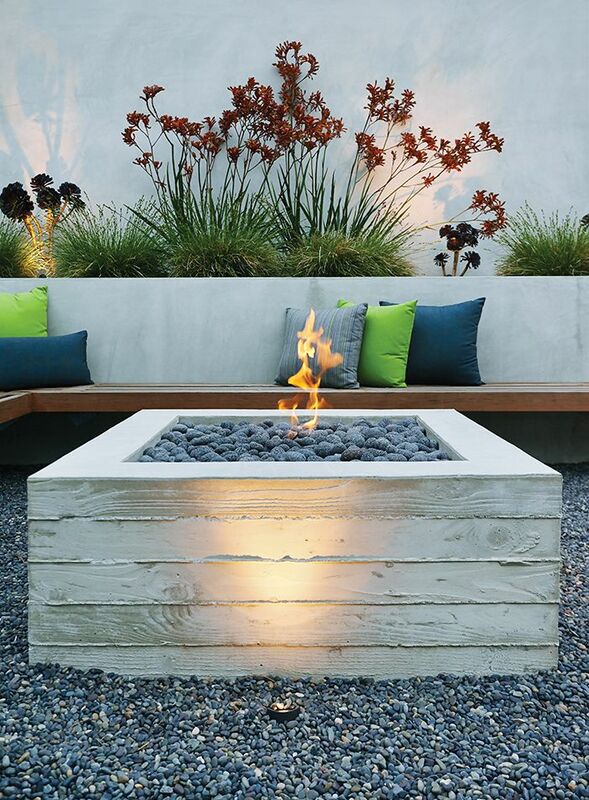 We love these great designs that are relatively easy to add to your own backyard! 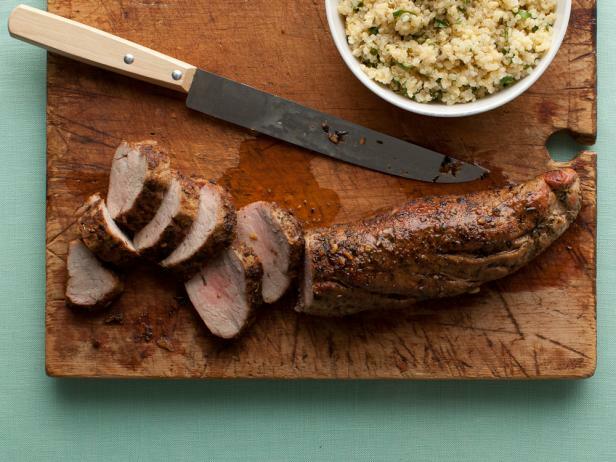 Rub a generous amount of salt and garlic powder over the tenderloin. On medium high heat, sear all sides in olive oil. Lower the heat and cook sliced onions for a few minutes. Add chicken stock and tomato paste and stir until combined. Cook on stove for 45 mins to one hour. 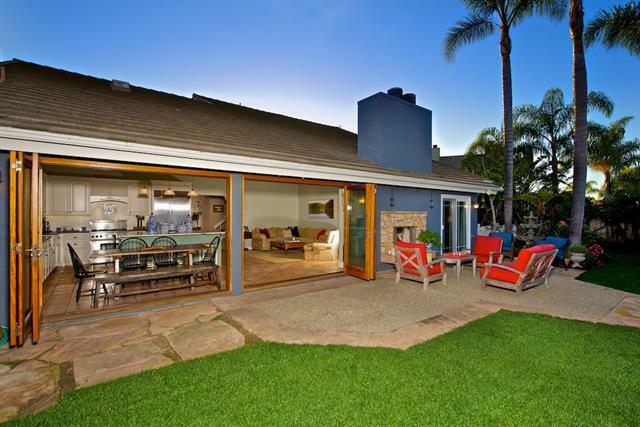 Located in the “Sweet Spot” of Old Del Mar walking distance to the Village and Beach yet out of the crowd! Charming cottage style Bokal and Sneed designed 4 bedroom with additional media room, 3 full baths & 2 car garage plus peeks of ocean. Fabulous gourmet kitchen, reclaimed hardwood flooring from School Houses in the Carolinas, timeless tile work in baths, multi-framed windows, wonderful outdoor space with fireplace, custom surfboard shower, hot tub and sunset view deck to enjoy after a day at the beach! SOLD for $2,995,000. Located west of I-5, this elegant custom designed home has been lovingly remodeled by a top local architect. With a main floor master suite, this split level lives like a single story. 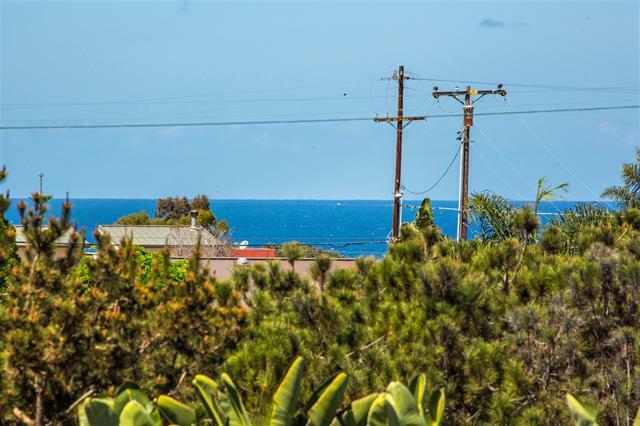 First time on the market, it is a rare opportunity to live in this beautiful beach community and enjoy the breathtaking ocean views and sunsets. One of a kind floorplan, it has 3,057 sf with 2 BR/2.5 BA in the main house plus a 585 sf permitted guest suite with kitchenette and private bath, and is an architects dream home! SOLD for $2,225,000. Elegant custom single story home located in exclusive gated Gables Crossing in Del Sur Valley adjacent to Rancho Santa Fe and Santa Luz! Situated on a serene, private cul de sac, this stunning professionally decorated estate is perfect for entertaining family and friends! 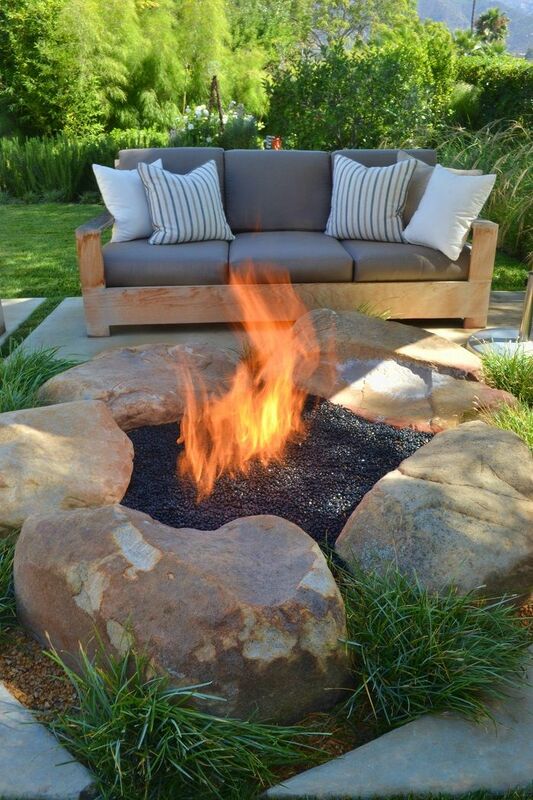 Tastefully landscaped grounds highlight the salt water pool and cabana, cozy outdoor fireplace and dining area. 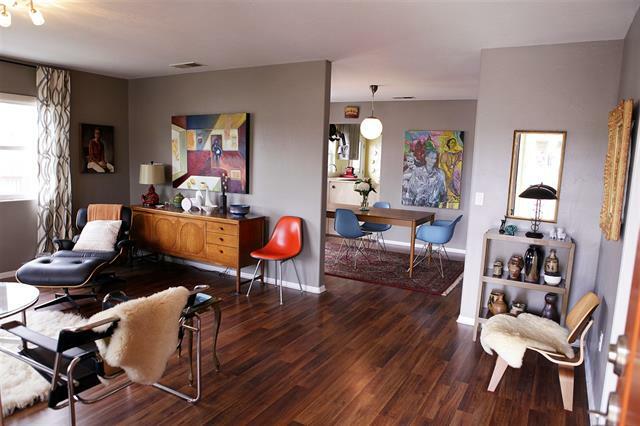 Exquisite hardwood floors throughout. 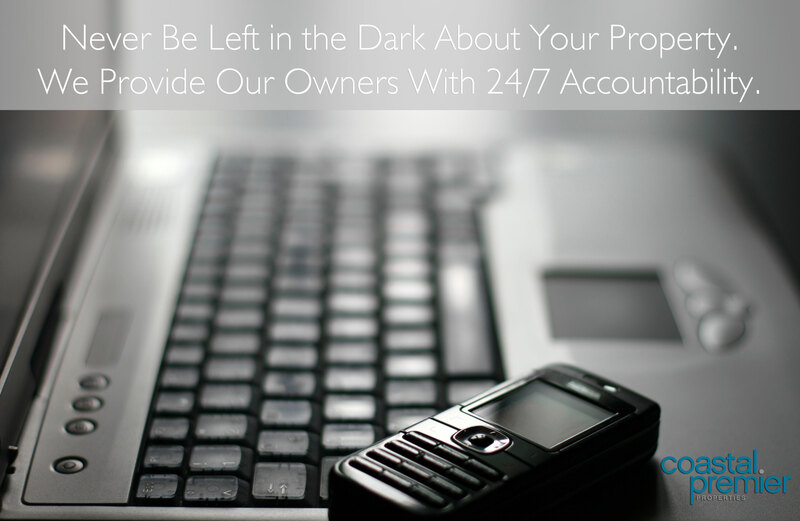 Home has been carefully maintained by the original owner and highly upgraded throughout. SOLD for $2,155,000. 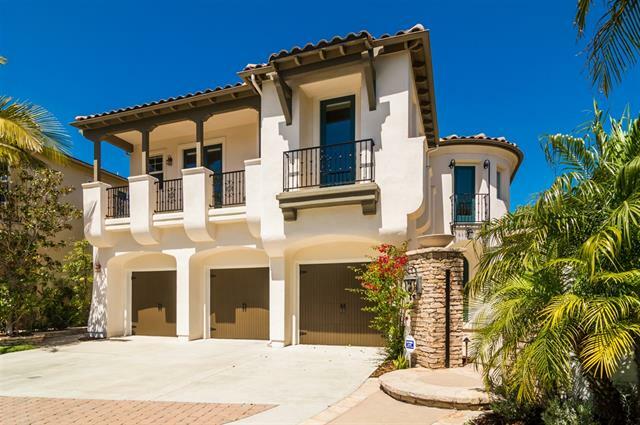 Stunning canyon rim, highly upgraded home located in the coveted gated Santa Barbara! 5 bedrooms (w/bdrm/bath down) plus a large bonus room. Formal entry w/dramatic full wrought iron spiral staircase, a gourmet kitchen w/granite counter-tops. Beautiful hardwood flooring, new carpet, new paint, fabulous built ins! Outside enjoy private gated courtyard, spacious backyard w/outdoor fireplace & room for pool plus large balcony overlooking panoramic canyon views! SOLD for $1,625,000. Sensational Heights Plan 3 featuring 4 BR’s, 2.5 BA’s situated on a cul-de-sac 8233 sq. ft. private view lot. 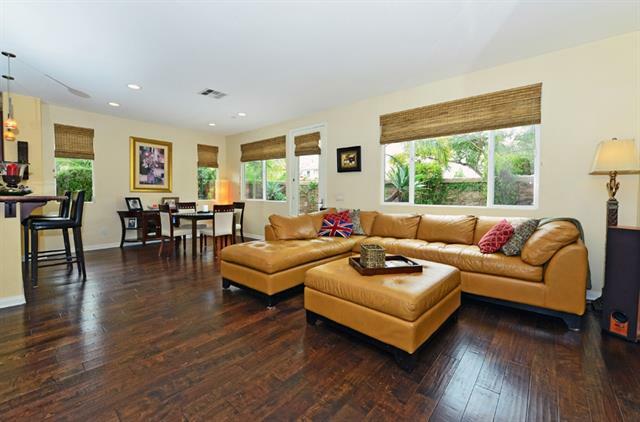 This impeccably remodeled home boasts a much sought after floor plan which includes an expanded kitchen/family room “great room” and the Master BR on the main floor. The gourmet kitchen features custom cabinetry, slate countertops, marble island, Thermador appliances and African Mahogany La Cantina bi-folding doors. 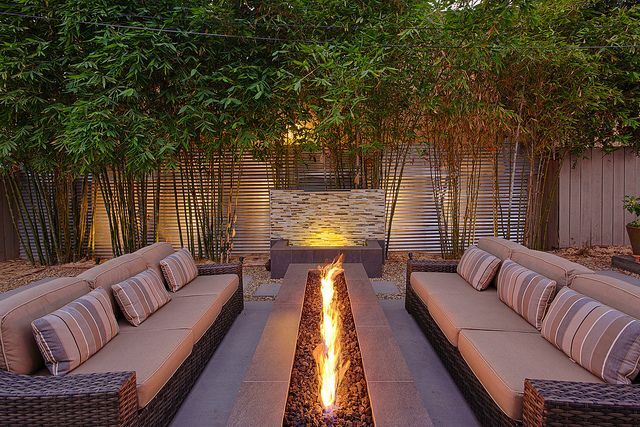 Entertainer’s backyard with fireplace, spa, and specimen palms. SOLD for $1,275,000. 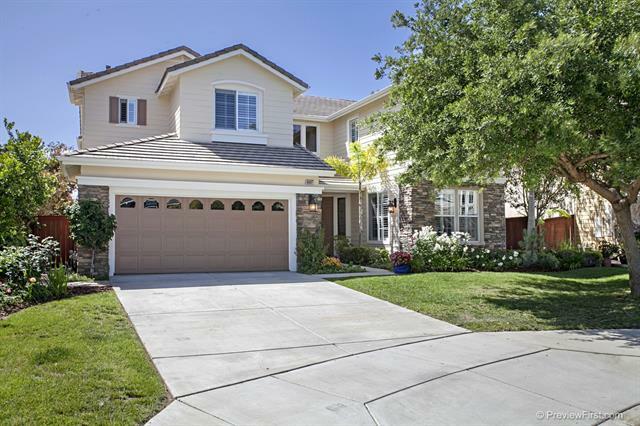 Distinguished 4 bedroom plus loft and bonus room, 3 bath Del Sur home. Enjoy custom built-ins, many upgrades and fine finishes. Bonus room plus additional loft provide plenty of space to spread out and relax. Gourmet kitchen with granite counters, stainless steel appliances, eat-in island and butler’s pantry. Romantic Master Suite with extra deep soaking tub, separate shower. Upstairs laundry. Professionally designed back yard with Bocce court. 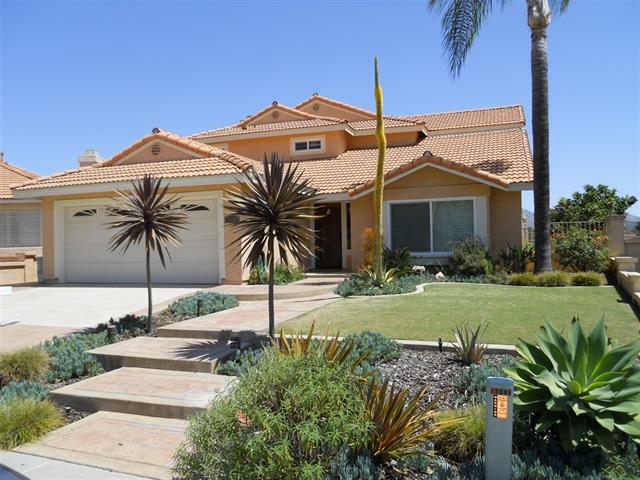 Highly rated Poway schools; easy walk to pool and parks. SOLD for $995,000. Highly desirable executive home in Aviara! 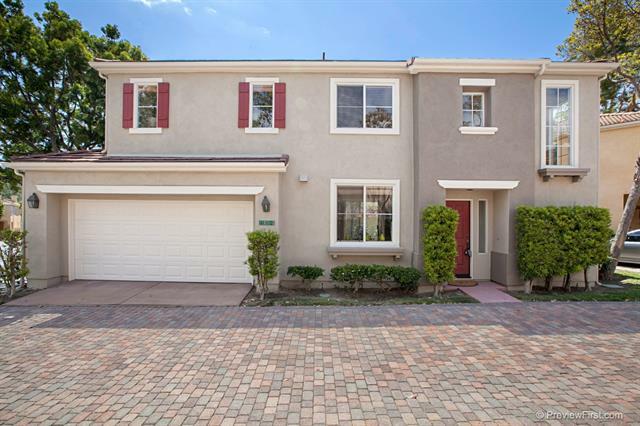 Great private cul de sac location! Optional downstairs BR & full bath. Spacious open floorplan with great room, formal living room and dining room. Granite kitchen counters with large breakfast bar and nook is a chef’s delight. Master suite features a retreat and private balcony with lovely ocean views. 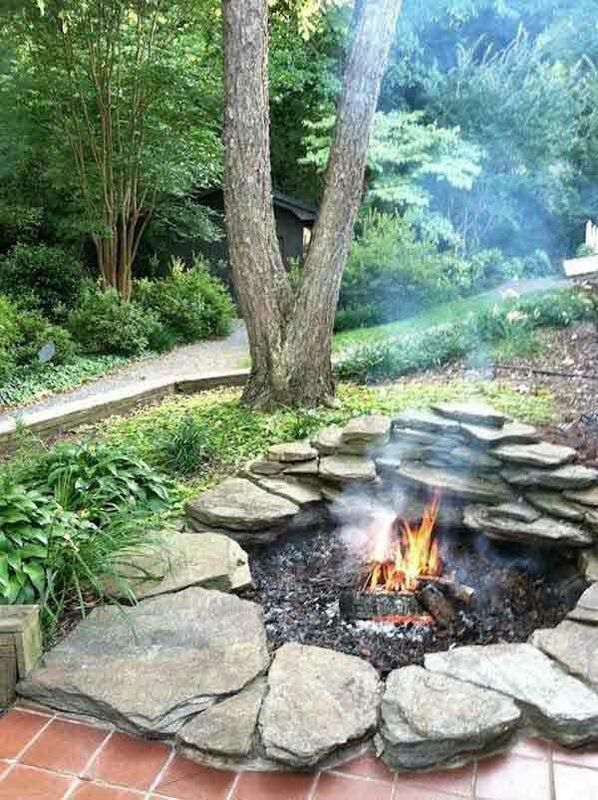 Generous size backyard includes soothing water feature, firepit for relaxing and large grassy area for kids to play. 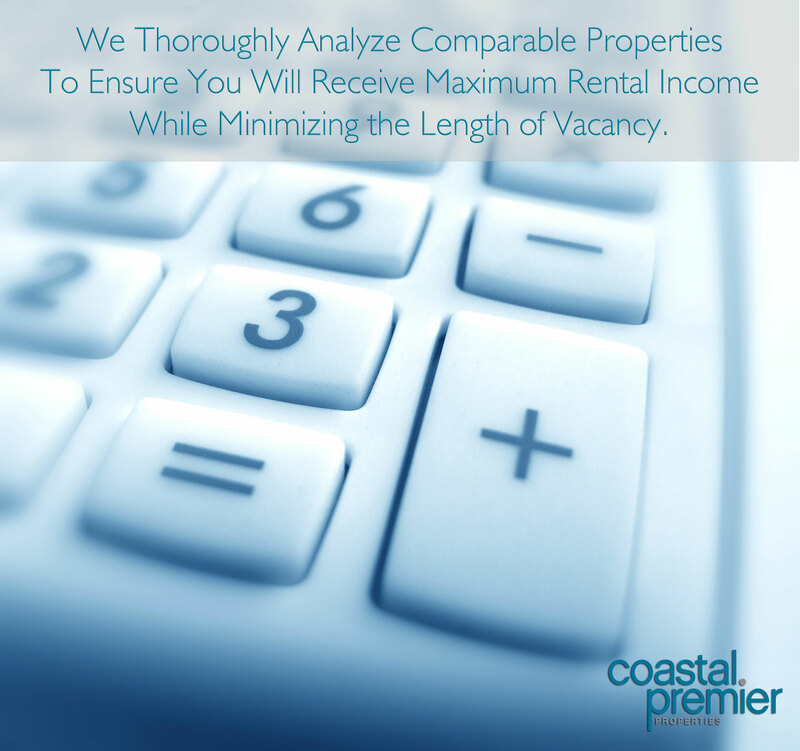 Minutes to beaches, shopping, restaurants. SOLD for $983,000. Elegant living and entertaining await you in this executive home. Timeless architecture, flowing floorplan, tropical yard and patio. Large gourmet kitchen; granite counters, expansive island. Luxurious master get-away with fireplace, deep soaking tub, private balcony and bonus room. Ground floor office has separate courtyard entry. Evening views of hot air balloons. Within walking distance of Westview High School, shops and restaurants. Easy freeway access to 56, 15 and 5. 6 miles to beach. SOLD for $965,000. Highly desirable 4 bedroom with one bedroom-bath and separate office downstairs located in heart of 4S Ranch! Lovely light, bright floor plan with upgraded wood flooring, new carpet, plantation shutters, central vacuum plus granite countertops in kitchen and neutral paint throughout. Study/Office with separate entrance great for home office or other multi-use. 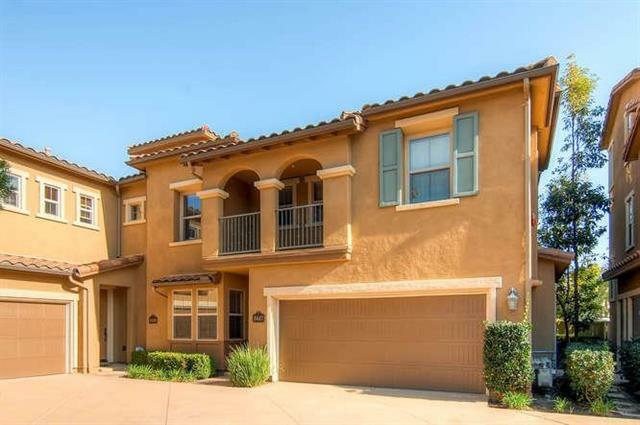 Just steps to beautiful Heritage Park and close to top rated Poway schools & shopping. Wow! SOLD for $900,000. 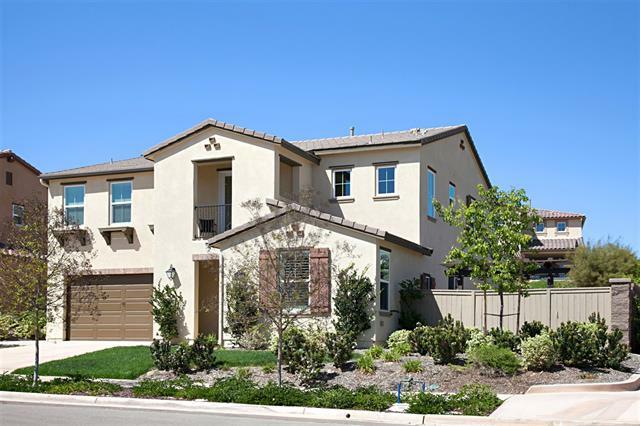 Highly desirable Stone Canyon; featuring 4 bedrooms, light & airy interior with wonderful upgrades including plantation shutters, stunning remodeled kitchen open to family room with fireplace featuring custom mantel, spacious master suite with updated bathroom, huge walk-in closet with custom organizers, 2 car garage and more. All this plus wonderful location with no homes behind. Stone Canyon is a gated community with pool, neighboring community park, top rated schools, low fees and so much more! SOLD for $898,000. Stunning Pacific Highlands Ranch Portico Plan 1. Built in 2009, 3-4 years newer than the rest, more upgraded than the model. Stunning 4 bed, 3 bath; walnut hardwood floors downstairs and in Master; gorgeous granite counters, SS GE Profile Kitchen Appliances; travertine kitchen backsplash & fireplace surround; 5 piece Master bath, marble counters, travertine tub surround and shower. Upgrades galore. Spectacular community amenities; phenomenal schools, walking to the new Pacific Highlands Ranch Center. SOLD for $895,000. Looking for new home west of I5? This beautifully remodeled home is better than new and move-in ready! walk to the beach and enjoy the SoCal life! 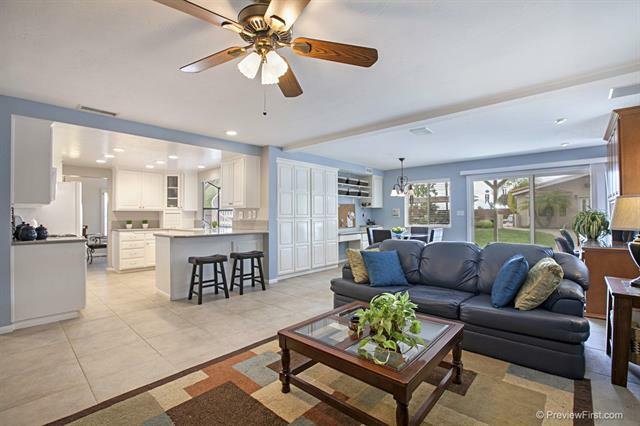 The huge living area with adjoining kitchen is the perfect place for entertaining! You will love the new cabinets, granite counters, backsplash, stainless steel appliances, custom paint, upgraded flooring throughout & much more!! Enjoy amazing sunsets ocean views from new upper two tiered decks or lower deck area! SOLD for $885,000. Don’t miss out! One of the largest lots in the community with a saline solar pool/spa and 528 esf permitted pool cabana/game room. Main house features 2,303 esf with 4 upstairs bedrooms, 2.5 baths. This home was fully remodeled with a huge expanded family room, master bedroom, kitchen and deck. Newer dual pane windows, HVAC, carpet and paint, and owned solar system for low electric bills makes this home a perfect choice. SOLD for $830,000. 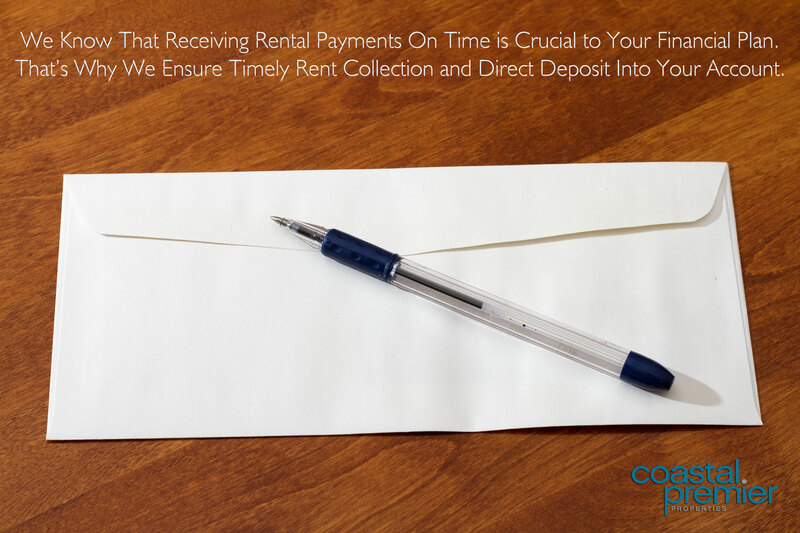 Don’t pass up this opportunity! Located at the very end of the most sought-after Street Location in Tierrasanta with panoramic views of Adm. Baker Golf course, San Diego River Lake. 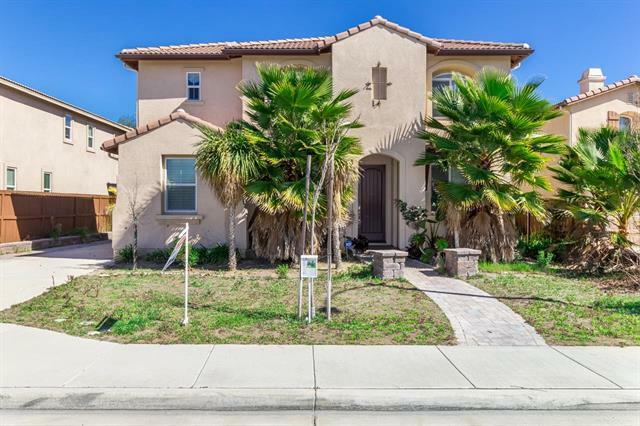 This home features newer Stucco and concrete tile roof, 3 fireplaces, decks with custom industrial railing on all levels, 25×18 Trex deck, wet bar, attached guest house with kitchen and full bath (included in Sqft). Great location, close to shopping center, schools, freeway access. SOLD for $820,000. 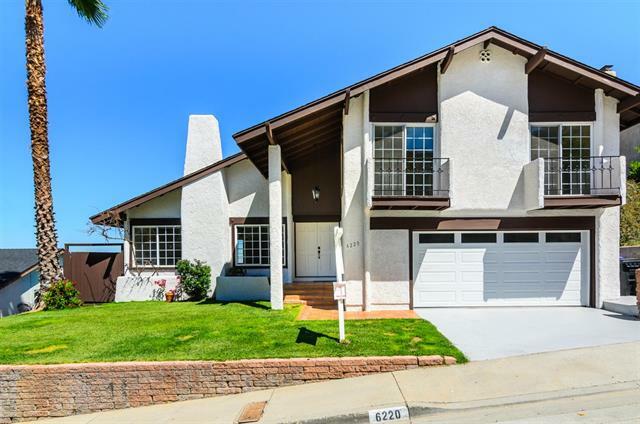 Beautifully upgraded home in centrally located Rancho Penasquitos. Open floorplan with gorgeous remodeled kitchen, granite countertops, SS appliances, tumbled stone backsplash, solid wood cabinets and large breakfast bar with pendant lighting. 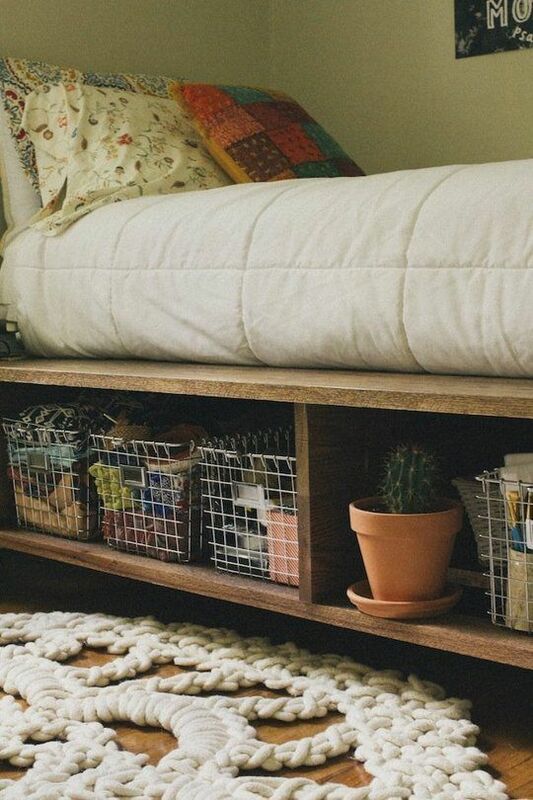 Convenient downstairs bed/bath. Newer vinyl dual pane windows, carpet, tile and baseboards. Fresh decorator paint and crown molding accents. Repiped with commercial grade copper! Highly rated PUSD incl Westview HS. 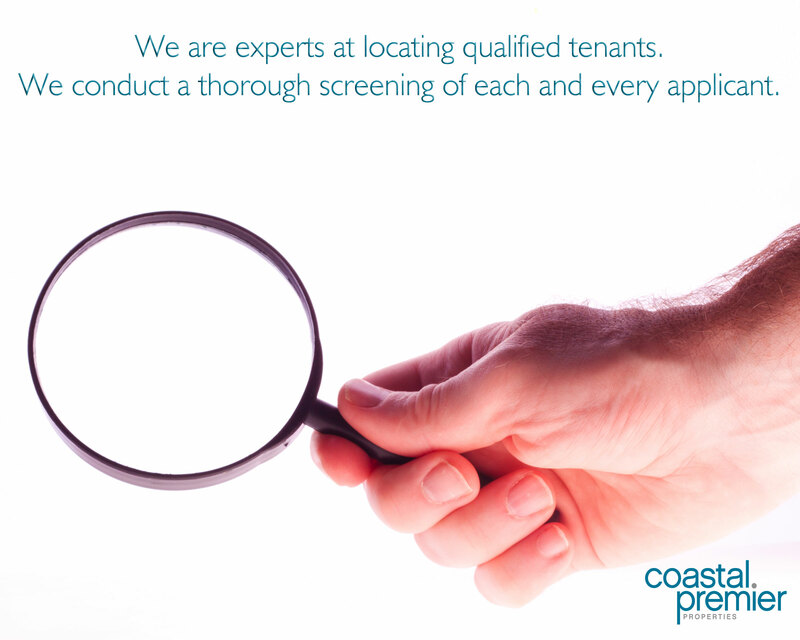 Easy access to parks, freeways & beaches. SOLD for $783,000. 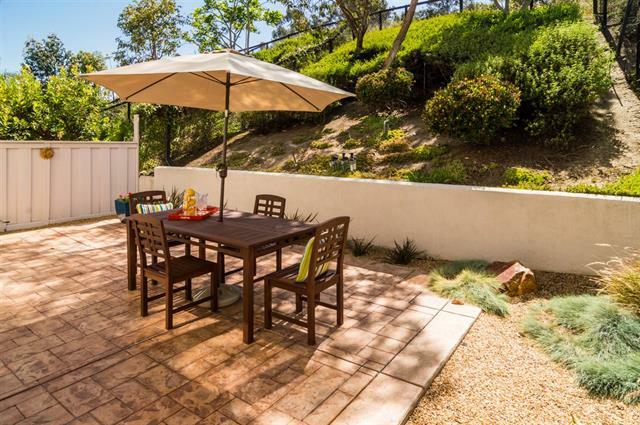 Views, views, views, PLUS, a sparkling pool and spa, playhouse, climbing wall, romantic gazebo and organic gardens at the foot of a terraced yard are the perfect backdrop to this remodeled 4 bed 3 bath home. 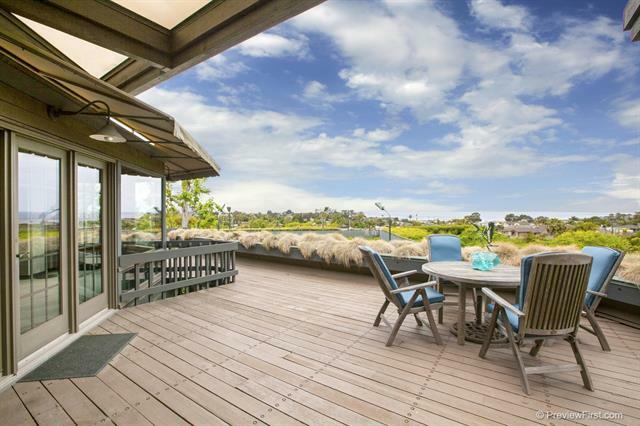 Master has its own private deck with ocean views. Soaring ceilings; open floor plan. 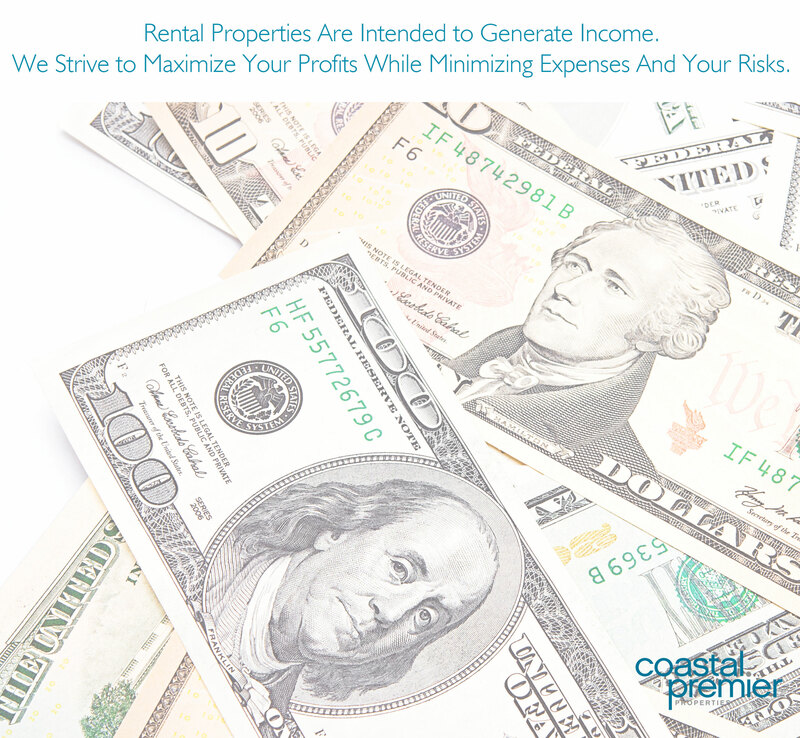 Enjoy a solar-heated pool, tankless water heater, whole-house water purification system. Finished garage with epoxy flooring, extra storage. PUSD. 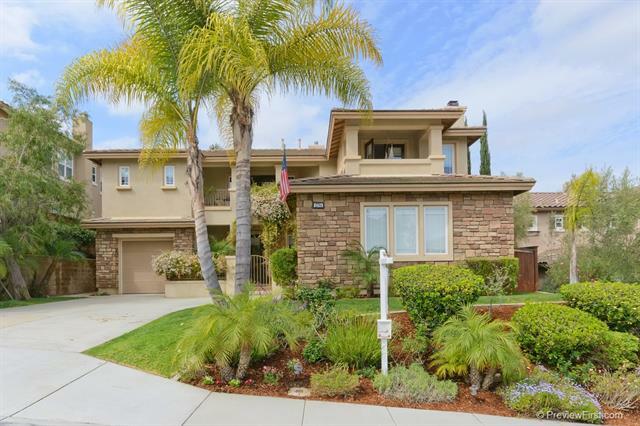 Minutes to shopping, restaurants, 56, 15 and 5 freeways. SOLD for $780,000. Over $100,000 in upgrades in this cul-de-sac location, 4 bed, 3 bath home. Recently remodeled head to toe, including: new kitchen with granite, custom cabinets, SS appliances; showroom bathrooms; hardwood floors; dual-pane windows; new plumbing; recessed lighting throughout; plantation shutters; surround sound for movie watching. Backyard features raised dining patio, gas fire pit, built-in BBQ, drought-tolerant landscape, and stunning mountain views. SOLD for $775,000. 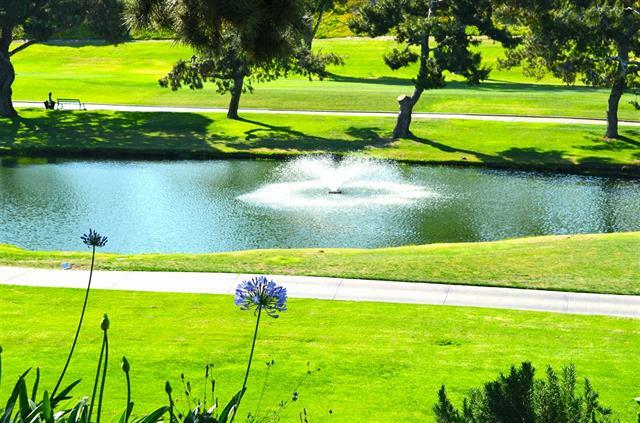 Amazing golf course, pond and fountain view! Don’t miss this rarely available location with the best view of the Lomas Santa Fe Country Club Golf Course from the living and dining room, patio and master bedroom suite. This home has two master suites, a large loft space, two full baths and half bath for guests. The kitchen has been remodeled with granite counter tops and stainless steel appliances. Each bedroom has a walk-out balcony. Two car attached garage. Close to shopping and just over a mile to the beach! SOLD for $743,000. Live the dream in the Hartford with Panoramic Mountain views! Dream home with young and stylish design built in 2006 and offering: 5 bd, One optional, 3 baths, 3,727 SqFt, and 3 car garage, on over 20,626 SqFt view lot. Great estate with all the upgrades and luxuries. Gourmet kitchen with granite counter, top of the line stainless steel appliances. 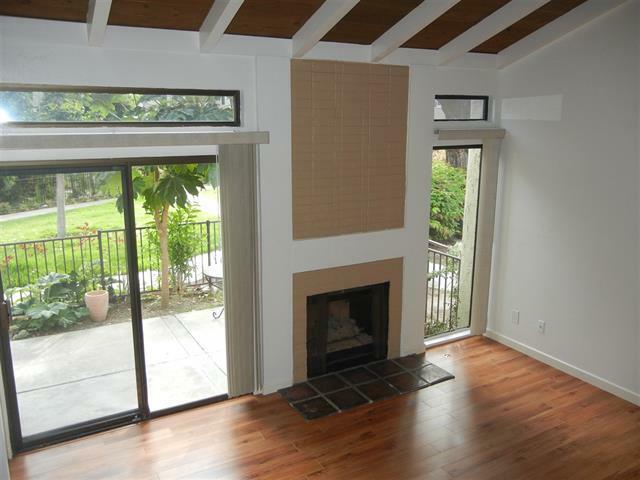 Family room with fireplace and sliding door that leads you to the backyard. Master suite offers French doors with balcony and views, master bath with large walk-in closet. SOLD for $735,000. 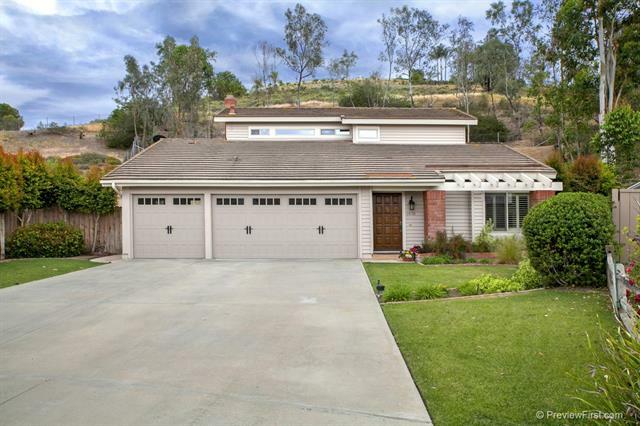 Gorgeous mountain front yard view home on a large corner lot in Dana Hills! Short walk to the creek, hiking trails and green belts. Enjoy your peaceful backyard in your bubbling Jacuzzi/spa while enjoying your bloomed flowers and entertaining gazebo. 5 bedrooms includes (1 full bed and bath down.) Hardwood floors throughout most of the home including the stair case and upstairs master. Newly Epoxy 3 car garage. New tile in bathrooms and laundry room. New velour window coverings. Community Pool and more! SOLD for $732,000. 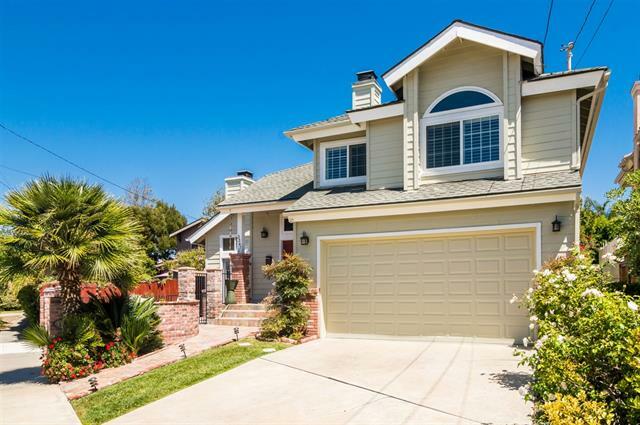 Beautiful home located in the charming neighborhood of Normal Heights. Lovely, open floor plan with neutral tones, spacious kitchen and wood vaulted ceilings. Beautiful family room and master suite both with wonderful brick fireplaces. Outside enjoy a peaceful backyard and spacious front porch. All this plus a short distance to the mini park across the street with beautiful views. 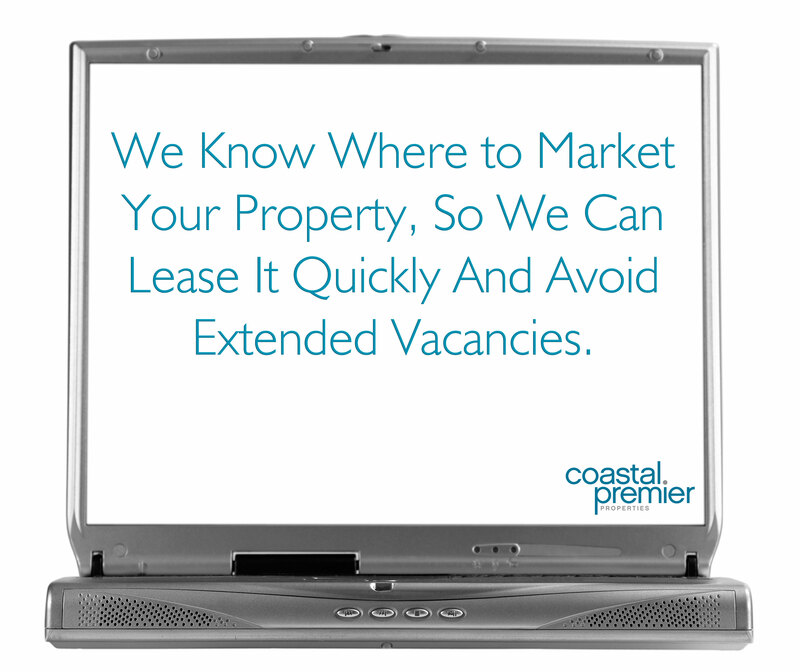 Near shopping, schools, freeways and plenty of entertainment. SOLD for $725,000. Breathtaking designer finishes in this home will make you want to stay. Easy-care French Oak floors coupled gorgeous Lancko doors and stunning DuChateau wall treatments create a modern, peaceful atmosphere. Open floor plan, gas fireplace in living room, cobbled entertainment patio surrounded by lush landscaping. Master suite has 2 walk-in closets, soaking tub. Upstairs laundry. Distinguished PUSD schools. Close proximity to trails, shopping. Easy freeway access to 15, 56 and 5. SOLD for $700,500. 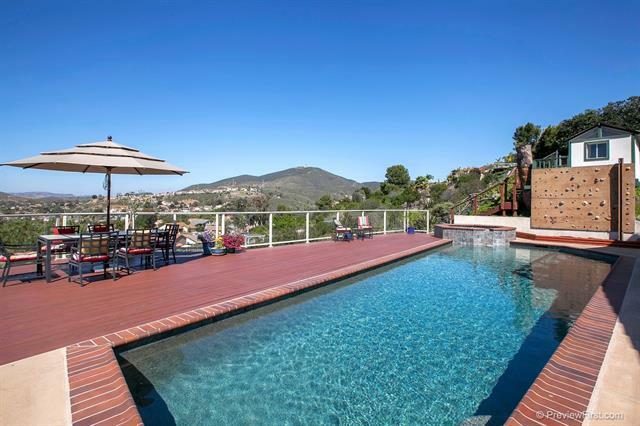 Rarely available and highly desirable Del Cerro Hill view home! Beautiful 3 bedroom 2.5 bath gem high on the hill. Terrific open floor plan with lots of natural light. Vaulted ceilings. Hardwood floors. Private master bedroom deck. Entertainers dream! Relax and barbeque by the sparkling pool and enjoy the amazing views. 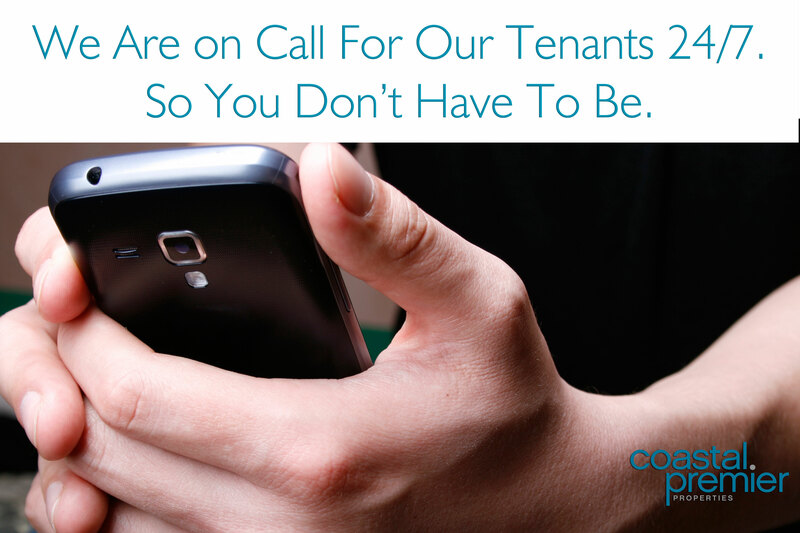 Close to schools, parks and neighborhood stores. Great Family Home! SOLD for $690,000. 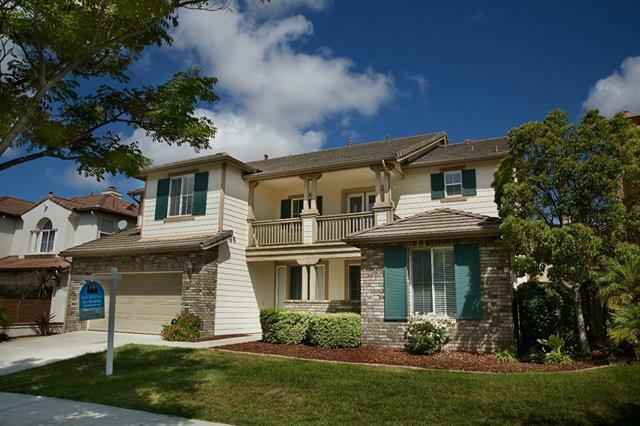 Wonderful location in West Carmel Valley close to all! Private small enclave of patio style detached homes in gated Trilogy community. Great interior location with no road noise. Nicely updated with granite counters and tumbled stone backsplash in kitchen, and neutral decorator paint. Community pool/spa and BBQ for family fun. Close to world class beaches, freeways and shopping! Highly rated San Diguieto Schools including Torrey Pine HS. SOLD for $690,000. Look no further… stunning 3bed/ 2bath 1600sq ft+ on a corner lot with 2 outdoor entertaining areas. Charming and airy open floor plan with large living room and family room. Newer home built in 2003 with tiled baths, spacious upgraded kitchen, beautiful flooring, French doors and dual paned windows. Close to shopping, restaurants, freeways, schools and in the very desirable Normal Heights community. SOLD for $685,000. 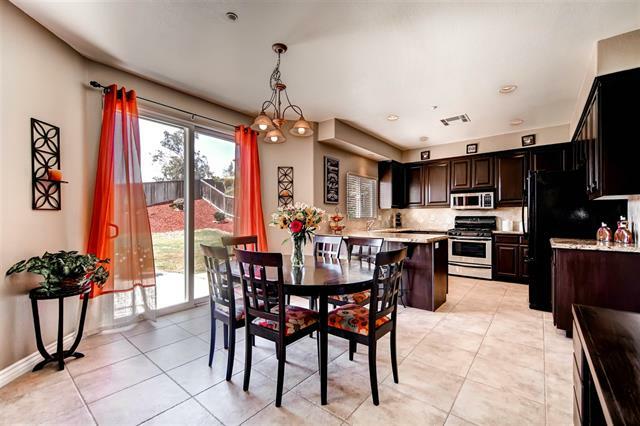 $649,000-$699,000 Stunning rarely offered largest floor plan in Amante in 4S Ranch! Enjoy open living space with beautiful hardwood floors downstairs, and custom fire place in the family room. Granite kitchen counters, dark wood cabinetry throughout and walk in pantry. Upstairs spacious bedrooms with a full loft area that could be converted to 4th bedroom. Lush back yard garden with stamped concrete patio is one of the biggest and most private in this community and perfect for entertaining. Welcome home! SOLD for $667,500. 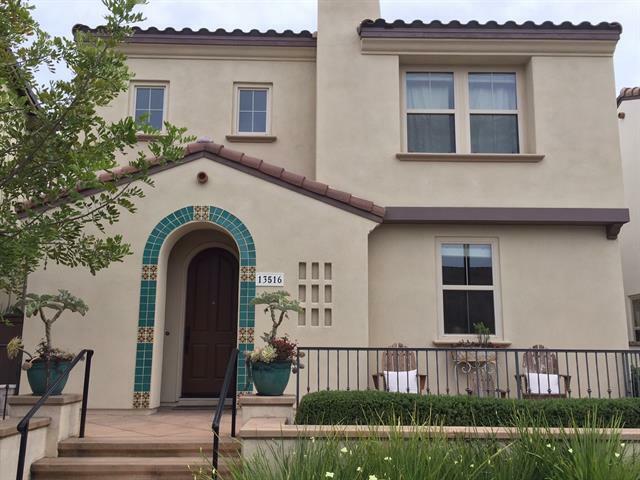 Gorgeous, move-in ready 3 bedroom + loft, 2 ½ bath Del Sur home across from park! Enjoy custom paint, luxurious flooring, water softener, lovely stamped-stone patio, and separate enormous loft on 3rd floor with views! Gourmet kitchen with Corian counters, stainless steel appliances, island. Electric fireplace in Great Room. Spacious master with beautiful views and private balcony. Upstairs laundry. Low-maintenance landscaping. SOLD for $645,000. Welcome home to this move-in ready, charming family home! Upgraded with hardwood floors, plantation shutters, stainless steel appliances, granite counters and a deck off the master bedroom. Features a 3-car garage with plenty of storage, a walk-in pantry in the kitchen, cozy window seat in the breakfast nook, fireplace in the family room and much more. Large private lot with no neighbor behind on a desirable cul de sac and is close to schools, parks, shopping and freeways. 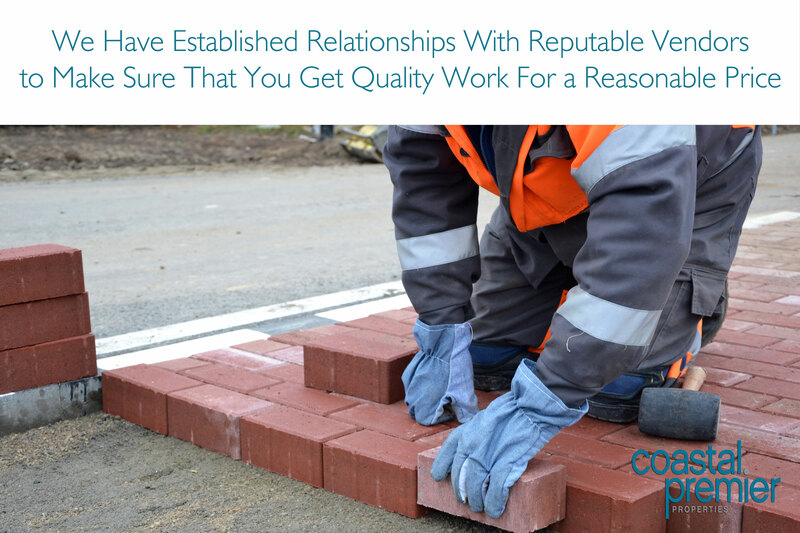 Part of the highly-rated PUSD. SOLD for $645,000. Location, Location! 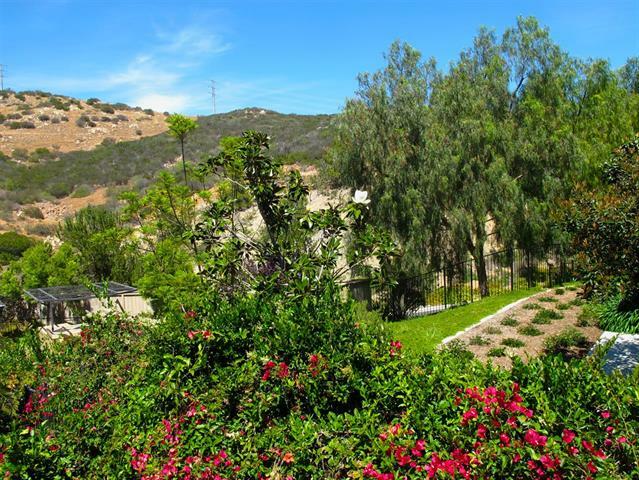 Welcome to the highly sought after La Costa Community! Most popular floor plan boasts 3 bedrooms plus a den/tech center upstairs & 2.5 bathrooms. Sunny and bright home is filled with natural light. Living room is surrounded by windows to look out to picturesque backyard. 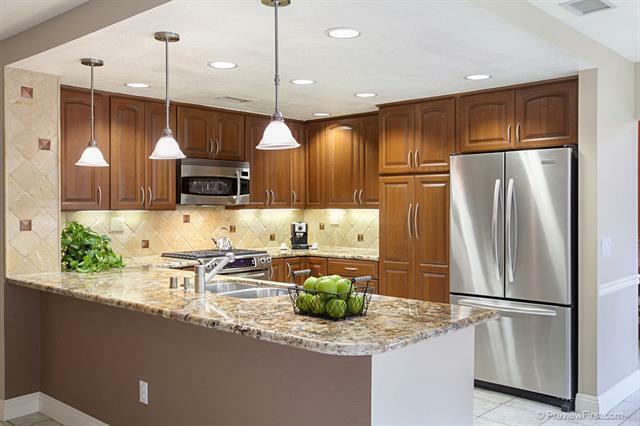 Kitchen with nice granite counters & full backsplash, breakfast bar and SS appliances. Adjacent dining area with direct access to backyard. Well appointed Master Suite. SOLD for $632,000. Brand new carpet and Paint! Equity seller, Many recent improvements with new baths with travertine, Kohler fixtures. Granite in Kitchen with high end stainless stove, dishwasher, fridge. Private front courtyard with fountain adds to seclusion under heirloom Japanese black pine. Low care landscaping. Mature fruit trees. 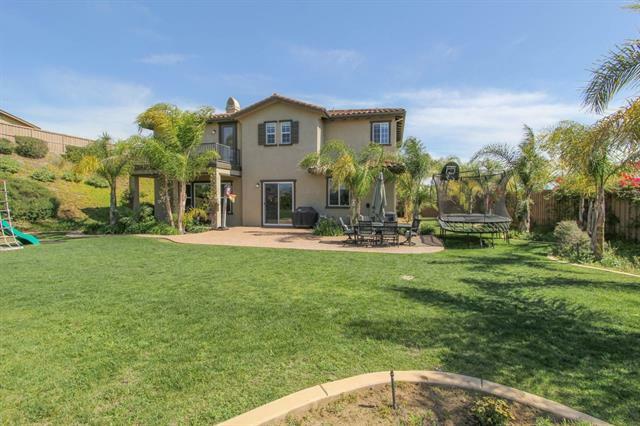 Open and sunny addition adds fun room with amazing views of fairways, fountains and ponds. 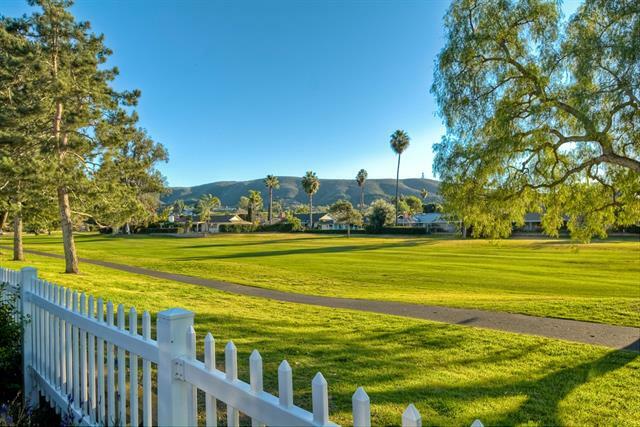 Close to shopping, new high school, trails, commuting, and upcoming San Marcos Creek development! SOLD for $555,000. Beautiful large two story home! You are greeted with a large private driveway with potential RV Parking. Into the home stunning custom flooring, designer paint, beautiful ceiling fans and fixtures throughout. Kitchen is vibrant and bright with sliding door into the backyard for family entertaining, rich dark wood cabinetry, granite counter-tops with bar siting, recess lighting and stainless steel appliances. Gorgeous living room with Fireplace. Master Suite includes Balcony with views and fireplace. SOLD for $539,000. Elegant end unit with beautiful views in great complex. Move-in ready.New carpet and custom paint throughout. Spacious Master Bedroom with walk-in closet and adjacent Loft/office area. Multi-use Balcony off Living and Dining Room, great for entertaining or just relaxing. Kitchen with large walk-in pantry, stainless appliances and plenty of cabinet space. 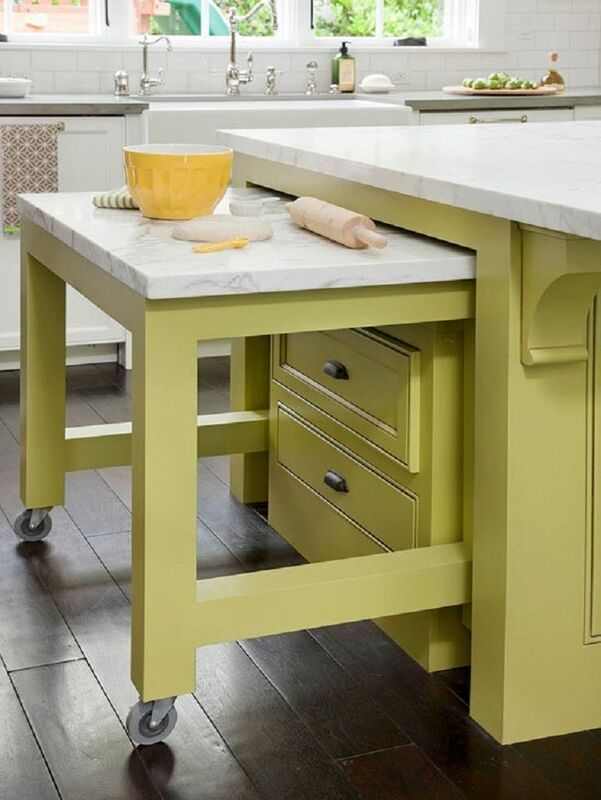 Lots of counter space to prepare favorite meals. Closet organizers in all closets.Storage in attic. Short walk to playground and pool. Beach less than 6 miles away. SOLD for $495,000. 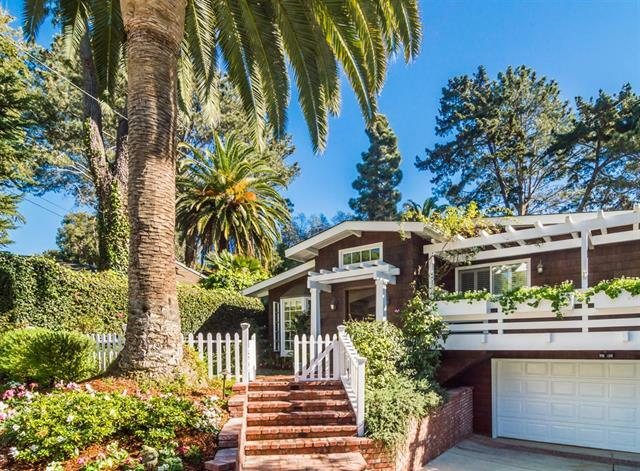 Beautifully renovated Shadowridge charmer in Rancho Montecito. Updated by the current owners and ready for its new family. 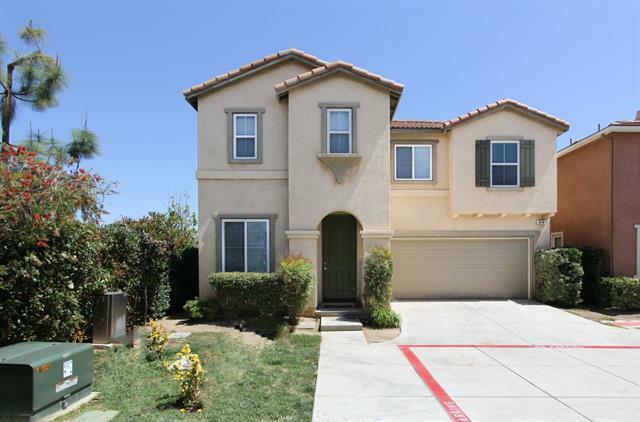 Copper plumbing, drought tolerant landscaping, fireplace, updated kitchen with new appliances included. A tremendous value for the neighborhood, this won’t last long! SOLD for $490,000. 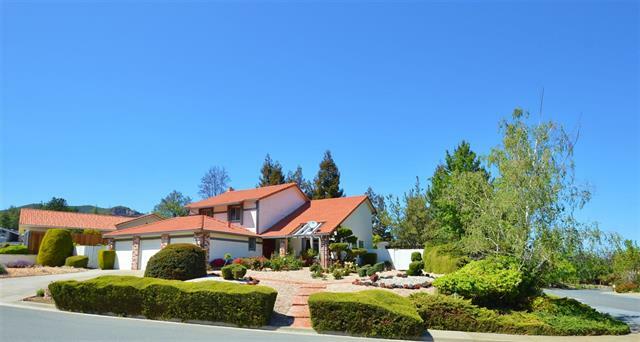 “This wonderful residence on Highbluff Ave, in the desirable and family oriented gated community of Westridge in San Elijo Hills is an entertainers dream! Newly remodeled kitchen, featuring new SS appliances, rare granite counter tops, subway tile backsplash and hardwood flooring. The master bedroom features a private patio, newly remodeled master bath with quartz counter tops and walk-in closet with ample storage. 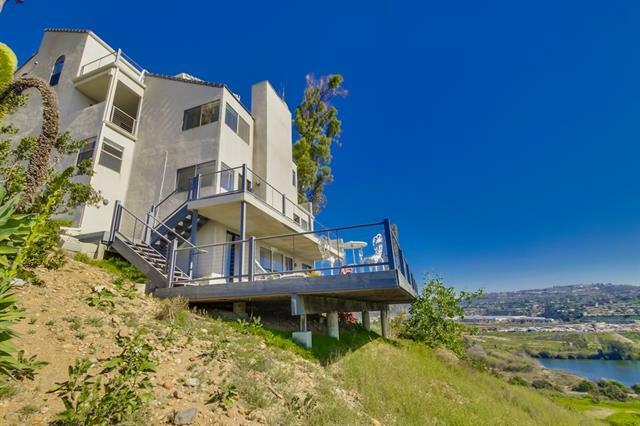 The back yard features sweeping canyon and ocean views along with a view of the quaint downtown. 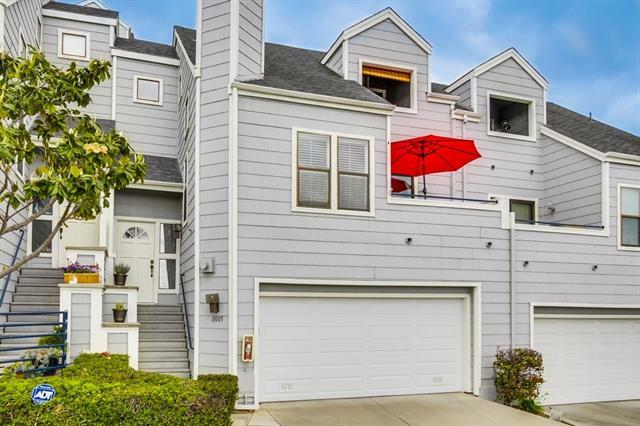 This Sunny, Bright, Town Home-End Unit has been remodeled from top to bottom with Neutral, Inviting Colors and Classy Upgrades.Master is located on it’s own floor has Balcony with views to the west. Oversized 2 car Attached Garage is a rare find. Courtyard patio offers urban gardening and outdoor living area. Guest parking close to unit & a short pleasant stroll to Tennis Court and Swimming Pool. Close to Shopping, Dining & Cinepolis Luxury Theatre SOLD for $417,000. 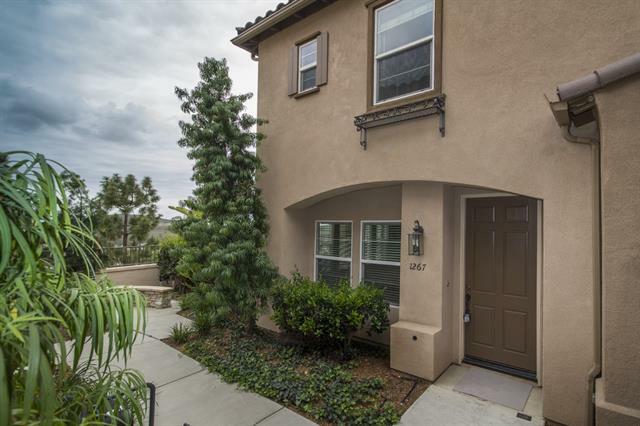 Wonderful Nob Hill Townhome in Scripps Ranch with Views to the Ocean! Immaculately maintained home with lots of upgrades, including Updated Kitchen and Appliances, Newer Flooring, Designer Paint, Vaulted Ceilings and it’s in Move-in Ready Condition! 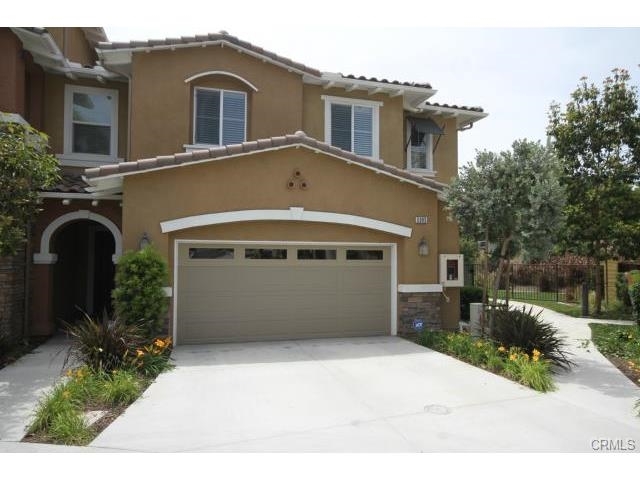 2-Car Attached Garage in Gated Community! 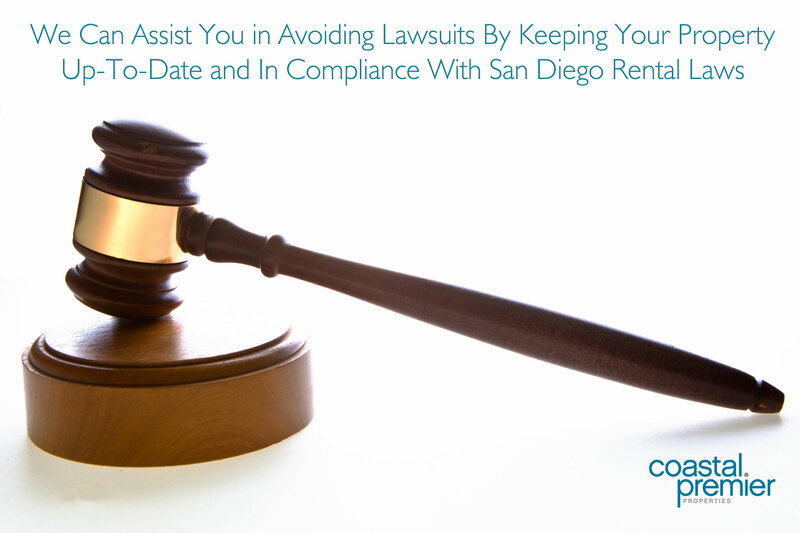 Walk to Lake Miramar, Trader Joe’s, Library and More. 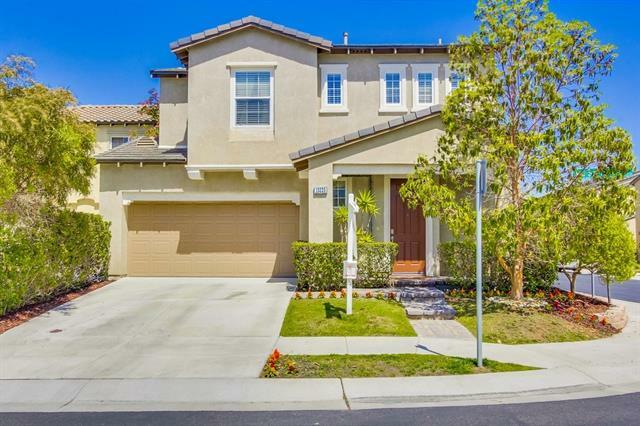 Close to Fantastic Scripps Ranch Schools and minutes to the Freeway! SOLD for $410,000. Back on market- no fault of the property! 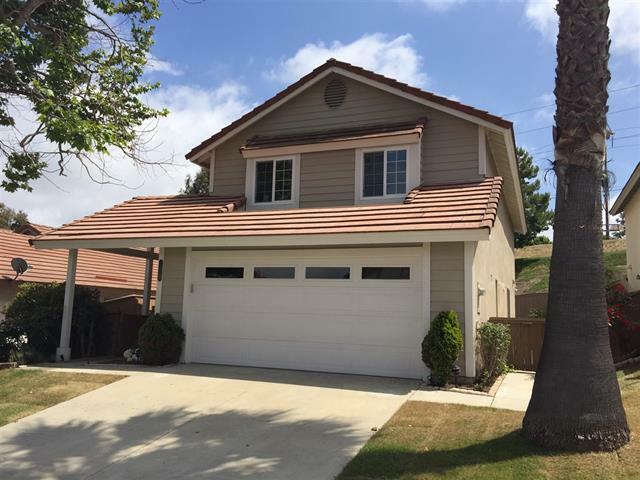 Sweet newer home in the heart of Escondido! Light & bright! Hurry-this one won’t last long! Definitely the best floor plan in the complex. 3 Bedrooms Plus a loft – Perfect for TV/teen room, office or workout room.Over-sized master features extra sitting room, dual closets, soaker tub and separate shower, and dual vanities. Convenient upstairs laundry room.2 Car Garage for all your toys! Large dining room/living room combo, and a separate den with gas fireplace. SOLD for $405,000. 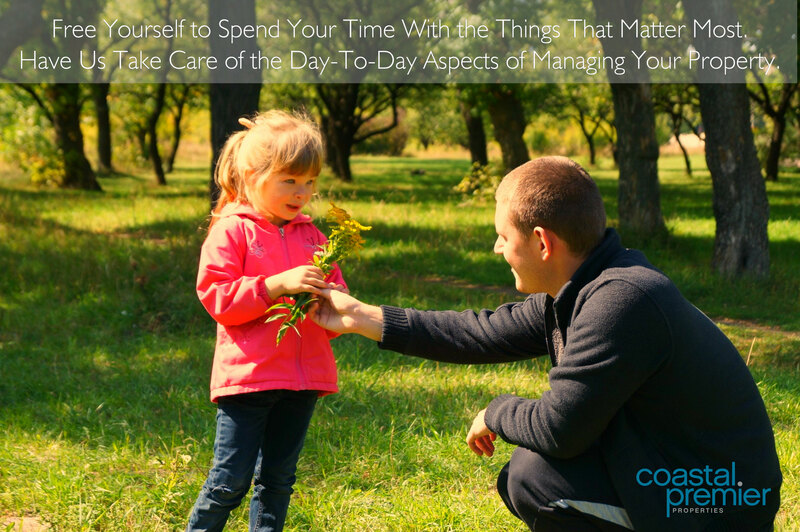 With many people either occupying small space or downsizing from larger homes into smaller ones, one of the most important considerations is how to maximize your space. 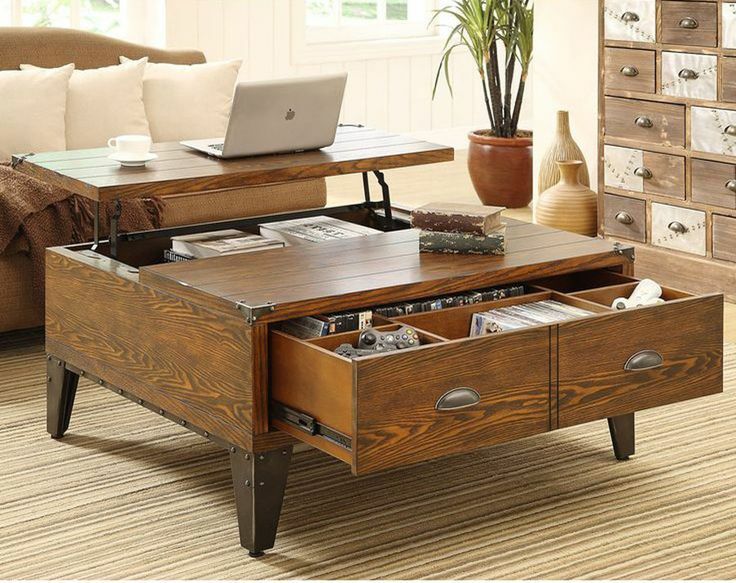 One of the best ways to do that is with versatile pieces of furniture that serve 2 or more uses. 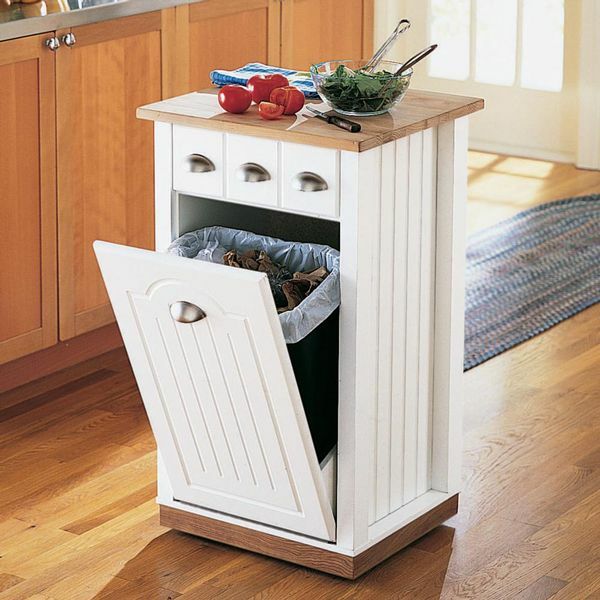 Think storage benches, storage coffomans, coffee tables with built-in storage, platform with built in drawers or shelving, even hidden trash cans that double as extra counter space in the kitchen! Here are just a few of our favorite ideas for a versatile piece that can pull double duty in your home.